"Those who are looking for a stylish and comfy accommodation should directly head to Anandha Inn in Pondicherry. 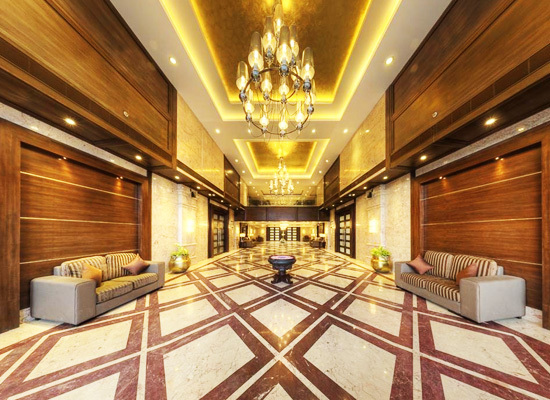 The glorious architecture of this hotel along with magnificent interiors of the hotel captures attention as soon as one enters the hotel premises. The hotel staff works hard an d fast day-in and day-out to ensure the guest have an enjoyable and memorable stay here. 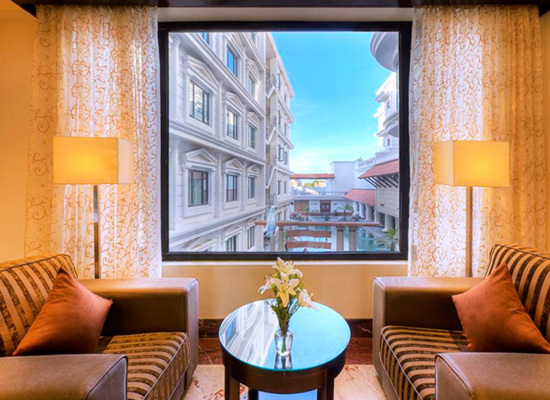 The impeccable level and other-worldly level of luxurious amenities available in this hotel makes it a must-stay hotel in Tamil Nadu. 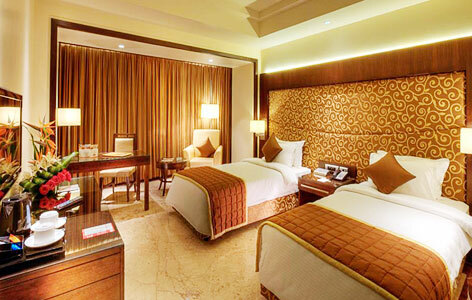 Standard Rooms: Cheaper accommodations in the hotel especially designed to provide comfortable rooms to budget travelers. Premium Rooms: These rooms are more spacious and have more facilities available when compared to standard rooms and are available at almost similar rates. Executive Deluxe: These rooms are located nearby business centers in the hotel are especially designed to provide comfortable rooms to business executives and corporate travelers. 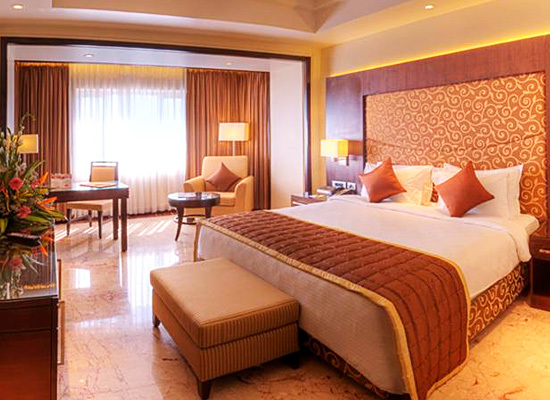 Deluxe Suites:These suites are very spacious and have very stylish and sophisticated interiors. All the necessary amenities are made available to the guests in these suites. These suites are ideal for honeymooners. The guests who stay in here are elated with the dining experience because the hotel offers several specialty restaurants located in and around the hotel premises. From varied Indian cuisines including Tandoor, Malabar, Moghul and Chettinad delicacies to spectacular International Cuisines like Continental, Creole, Chinese and French cuisines, the hotel restaurants serves them all. L, Heritage: This international restaurant serves a fine spread of Indian, Continental, Chinese and French cuisines. The ambience in the restaurant is very calm and aesthetic. The gourmet food is pure delight for every connoisseur. Surabi: The restaurant serves guest with buffet style Indian food. 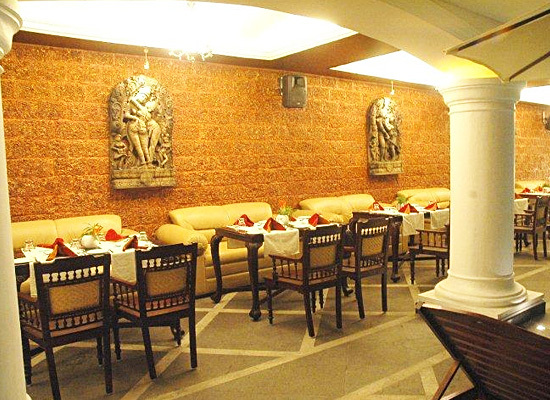 The ambience around the restaurant looks charming with a collection of Tanjore paintings on the walls. Tantra: Tourists come here to enjoy delicious Indian cuisine along with some of the top quality alcoholic beverages. Tandoori dishes and seafood spread are most preferred among guests. The mood is set in the restaurant with live cultural performances. Ecstasy:The guests who stay in this hotel love coming here to relax and chill with some of the most expensive liquors available in this bar lounge. Pondicherry in Tamil Nadu is one destination of India which tourists come almost every day to spend a relaxing time. The gorgeous beaches, stunning sceneries and majestic heritage sights, all around the city make it one of the most breathtaking destinations in the whole country. The wealthiest Ashram of India, Sri Aurobindo Ashram is a major attraction in Pondicherry where tourists come to experience serenity at its best. 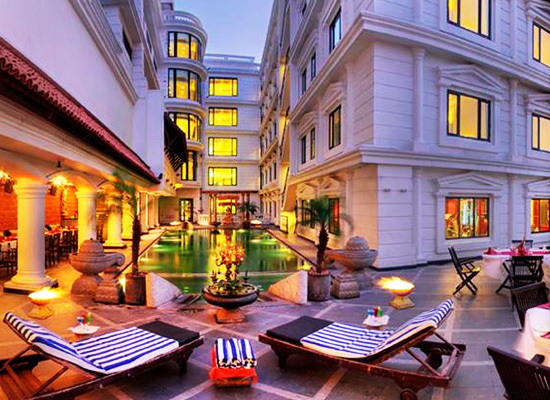 For leisure and relaxing activities, Pondicherry is the city to be in India.